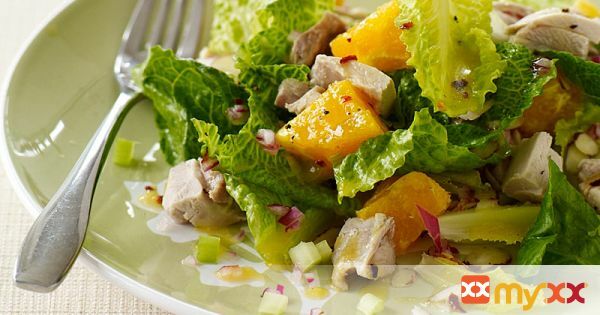 Get a delicious vitamin C-boost with this citrusy salad. 1. Cook chicken to your liking. (I prefer to grill mine) Then cut into bite size pieces. In a large bowl, combine lettuce, chicken, orange, shallot, celery and almonds.